Westminster Ranch! 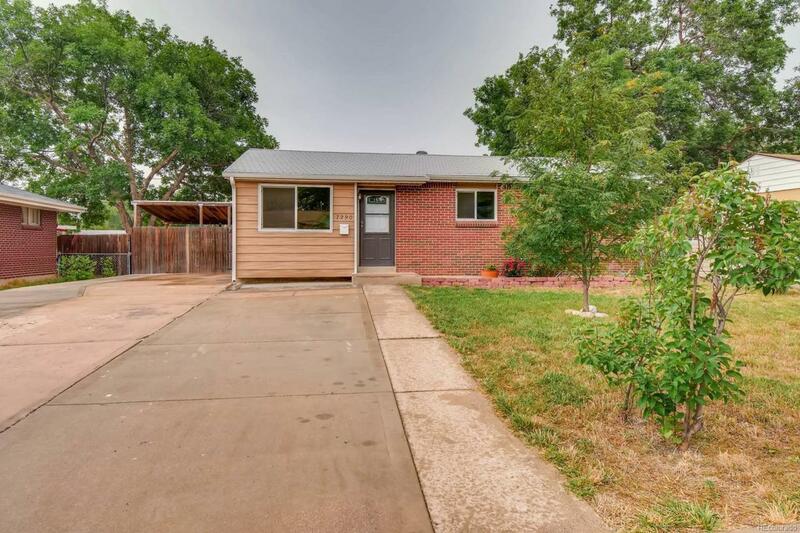 3bd/1ba. Fresh paint and carpeting and kitchen flooring. Stainless steel appliances. Nice six panel doors. Ample off-street parking in the huge concrete space on the side of the house. Nice new tile in the bathroom and back splash in the kitchen. New bathroom vanity. Tons of storage space in the two back yard sheds. Vinyl double pane windows. Half a block to the Kennedy Park and only one block to the elementary school and only three blocks to Wolff Run Park with walking paths and a baseball field. Near Hidden Lake Park and Sports Complex. Easy access the highway 36, I-70, downtown Denver and Boulder.